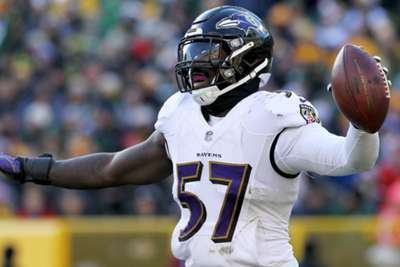 The Baltimore Ravens lost linebacker C.J. Mosley in the first quarter of their game against the Cincinnati Bengals with a knee injury. Baltimore's defensive leader was carted off the field after a non-contact injury, later described as a bone bruise. Mosley, who is in the final year of his rookie contract, was selected in the first round of the 2014 NFL Draft. He entered the year with 474 tackles in four seasons. The Ravens fell behind 14-0 after the end of the first quarter, with Joe Flacco struggling on offense, and the defense failing to stop Bengals quarterback Andy Dalton, who threw two early touchdowns to A.J. Green. C.J. Mosley has a bone bruise, his return is doubtful.